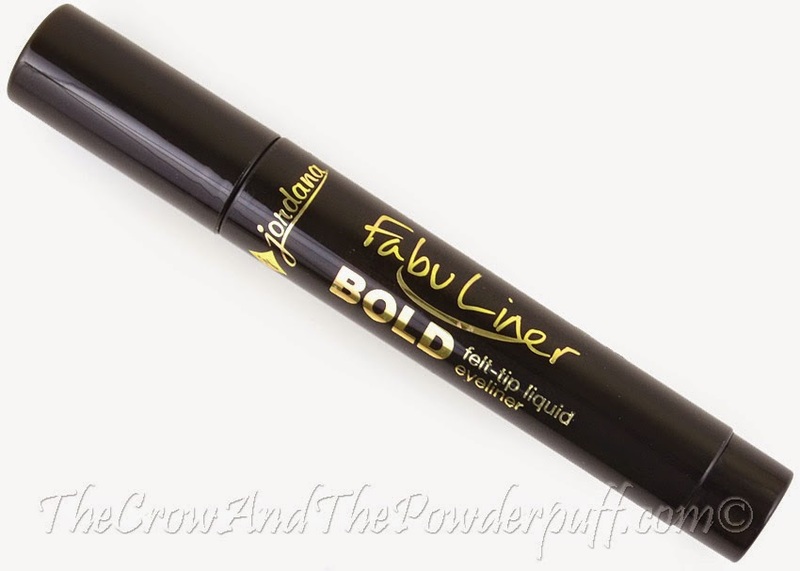 This review is on the Jordana Cosmetics Fabuliner Bold Felt-Tip Liquid Eyeliner, I received these a while back so it was long over due for a review! Water (Aqua), Butylene Glycol, Alcohol, Glycerin, Black 2 (CI 77266), Polyacrylate-16, Disodium Cetyl Phenyl Ether Disulfonate, PEG/PPG-14/4 Dimethicone, PEG-14 Dimethicone, Phenoxyethanol, Caprylyl Glycol, Diethylhexyl Sodium Sulfosuccinate, Disodium Laureth Sulfosuccinate, Sodium Laureth-12 Sulfate, Butylparaben, Ethylparaben, Isobutylparaben, Methylparaben, Propylparaben. The Packaging: Felt-tip marker style packing. 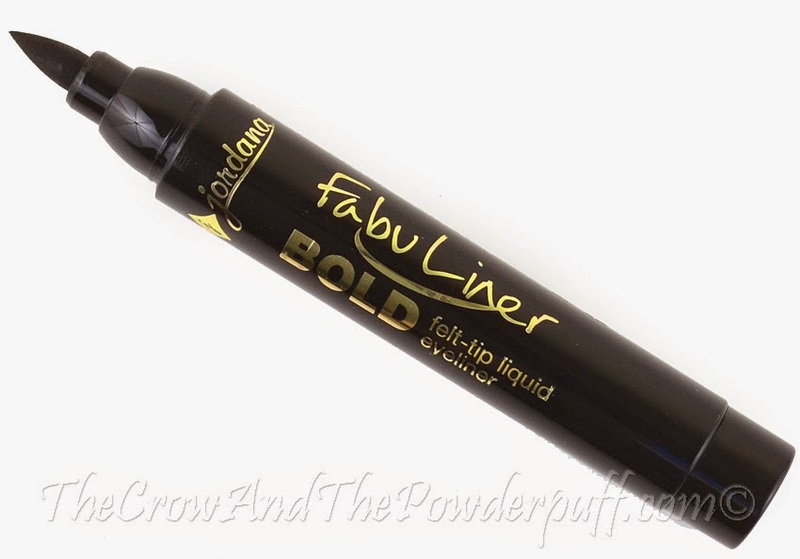 My Final Thoughts: I had quite a bit of trouble with this liner, my issue is I have hooded eyes and my lids have more folds/bumpy areas so it's harder to apply using a felt tip liner. I do love how black the liner applies and the fact it doesn't feather so it's definitely worth considering since it has an AMAZING price. It's not waterproof so it can smudge and smear a bit if you tend to rub your eyes or anything (which I do because I have allergies), it's not marketed as waterproof though although it is marketed as long lasting all day wear. Would I purchase again? Probably not. 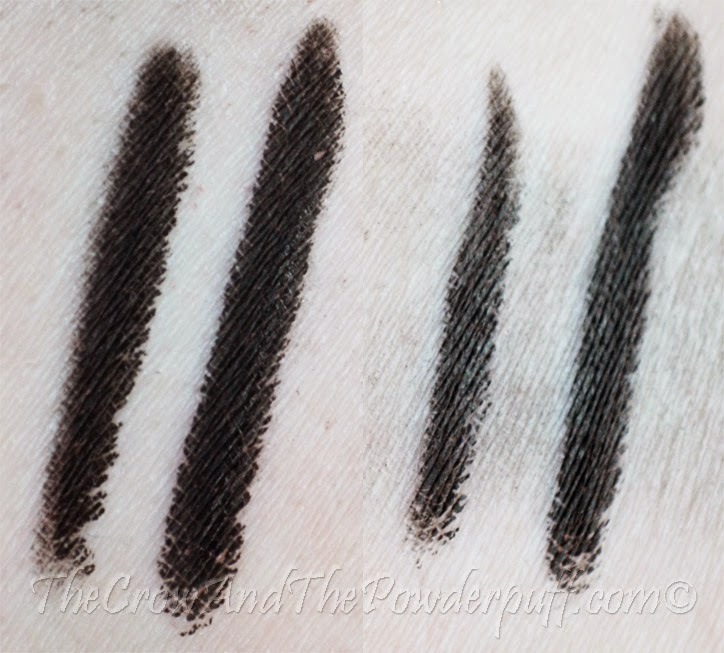 For my hooded eyes and the fact my lid isn't smooth this is a more difficult eyeliner for me to work with. That being said it might work you if you don't have hooded eyes and if your lids are smooth which makes it easier to work with felt tip liners. For the price point as well you're not losing much if you try it out which is great. Do you own any of this? What's your thoughts? I think I'll skip this one too, if this gives you problems. It'll give me problems too.